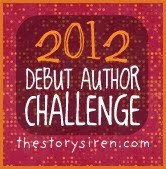 This is the first book reviewed in the 2012 Debut Author Challenge, hosted by the Story Siren. Told in alternating voices, Crowley paints a clear picture of Lucy and Ed's fears, insecurities, and pleasures. I loved their banter and their he-said/she-said. I laughed out loud a few times. The descriptions of the artwork really blew me away: I wanted to picture the art on the walls; I wanted to sit in a museum interpreting a piece's meaning; I wanted to get my hands on a piece of charcoal and try sketching. And even though there were some tough decisions and topics that came up, Crowley knew just how to touch on the seriousness of the topic without making it overly heavy. With so many different characters, I was worried they would all sound somewhat the same or be so drastically different. To my surprise, each of the characters had a unique voice. Also, Crowley was able to show that boys do have that sensitive side to them without making them appear typically "weak." I enjoyed the lingo, and it made me feel like I was right there in Australia. Content Advisory: My only disappointment with the book was the unnecessary frequent usage of the f*** word: someone needs to clean out that boy's mouth. It's an enjoyable read from a talented writer: one that will not disappoint. 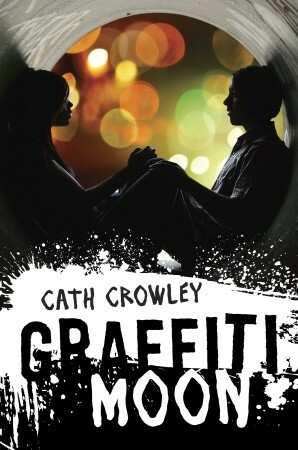 Graffiti Moon is available in bookstores everywhere.